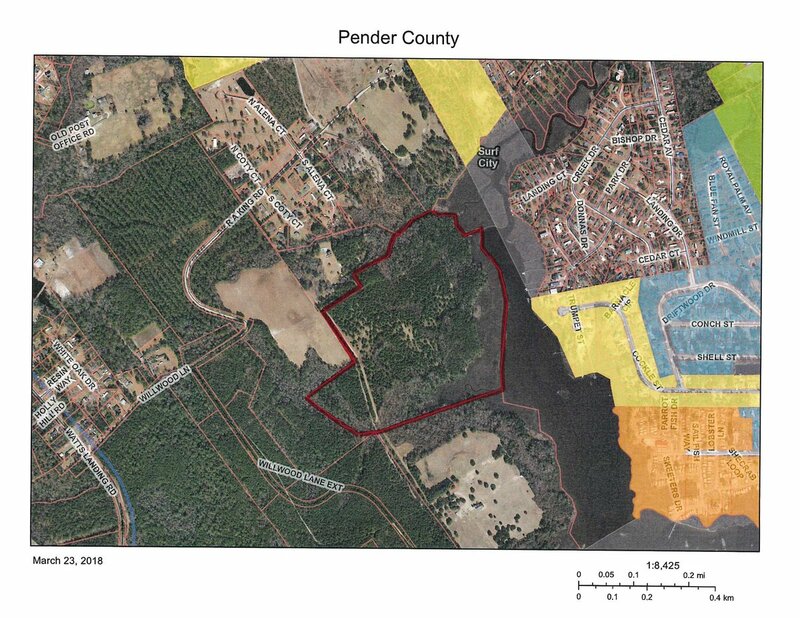 62.27 Acres of Predominately Developable land with Waterfront Access on Becky's Creek to ICWW & Topsail Sound. Current access is off Watts Landing Road via Willwood Lane and Willwood Extension, but can potentially be accessed through another development tract that can be made if desired. Close to current Surf City Water & Sewer Service. Prime for Annexation. Contiguous 81.00 Acre Tract with Waterview Frontage on ICWW is also available as additional acreage under separate listing - and the two properties are being marketed as a package for an available total of 143.27 Acres.